This long, fishhook-shaped cape located 55 mi/90 km southeast of Boston is a haven for summer vacationers. It offers interesting shopping, museums, restaurants and the famed 40-mi/65-km Cape Cod National Seashore. Many of the cape's towns have classic village greens and 18th-century houses with salt-spray roses tumbling over fences. Sand dunes, gray-shingled cottages, whale-watching and excellent fresh seafood add to the cape's allure. The cape's charm continues well into the fall (when the crimson cranberry bogs and fiery foliage are dazzling) and winter (when hundreds of thousands of birds stop along their migration routes). 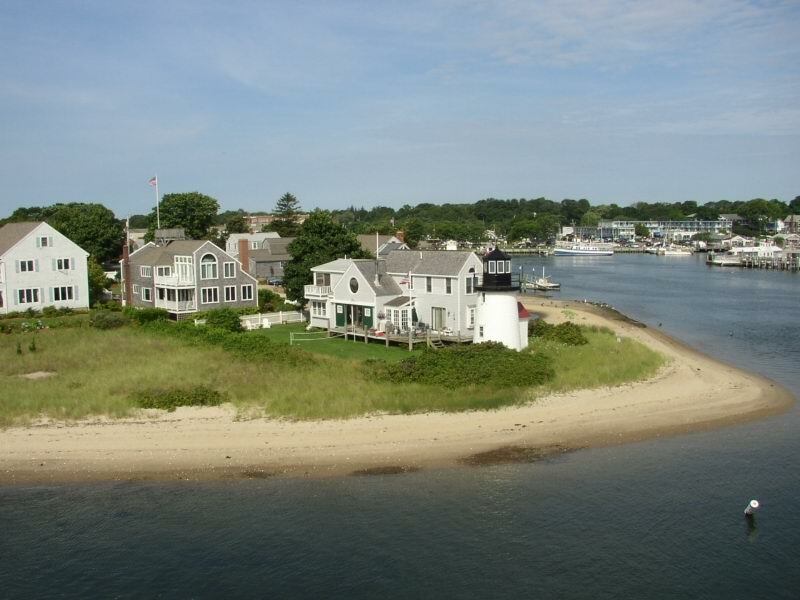 Separated from the mainland by a 17-mi/27-km canal, the cape can be reached by car (two bridges, the Bourne and the Sagamore, span the canal), or you can take a bus from Boston to Bourne, Falmouth and Woods Hole. Ferries run to Provincetown (at the cape's far end) from Boston, Gloucester and Plymouth. Several airlines operate flights between Boston and Barnstable Municipal Airport in Hyannis. Woods Hole is one of the world's top oceanographic study centers and site of the Northeast Fisheries Sciences Aquarium (open to the public in summer). If you like cozy beaches, the towns of Yarmouth and Dennis are recommended in warm-weather months. You'll find many oceanfront restaurants, summer theaters and fishing charters, as well. A great bird-watching destination is Monomoy Island National Wildlife Refuge, a sliver of an island south of the cape. To make the most of a visit there, take a guided tour (offered by Brewster's Cape Cod Museum of Natural History or Wellfleet's Bay Wildlife Sanctuary). A peaceful way to experience the best of the cape—gray clapboard houses, salt ponds, lighthouses, dunes—is biking the Cape Cod Rail Trail. Stretching from Dennis to Wellfleet on the bed of a defunct rail line, this 25-mi/40-km paved trail is especially delightful in the still-warm days of early fall. Festivals and events on Cape Cod include the Cape Cod Chowder Festival in Hyannis (June), Pops by the Sea in Hyannis (performances by the Boston Pops—August) and Windmill Weekend in Eastham (parade, fish fry and tricycle races—the weekend after Labor Day).